World & Olympic Champions Mo Farah and Christine Ohuruogu headline the PACE contingent at the European T&F Championships in Zurich starting tomorrow. 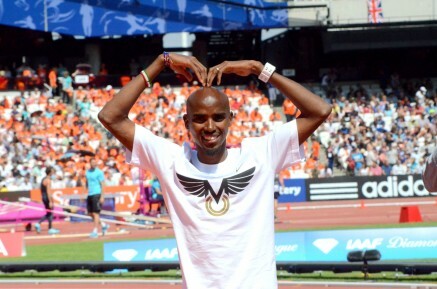 Farah will attempt to win his 5th and 6th European Championship medals as he lines up in the 5000m and 10,000m. In 2012 he won the 5000m in Helsinki a few weeks before he took the Olympic double. In 2010 in Barcelona he won the 5000m and 10,0000m having taken silver in the 5000m in Goteburg in 2006. Christine Ohuruogu has won the Olympic Games, World Championships twice and Commonwealth Games but this is her first attempt at the European title. She will race the 400m and 4x400m. In 2010 Andy Turner won 110mH gold, Michael Rimmer won 800m silver and Chris Tomlinson won long jump bronze – all return in their specialist events. Joining Rimmer in the 800m is World Indoor medallist Andrew Osagie. World Junior 100m Champion Dina Asher-Smith and Europe’s second fastest 400m runner Matthew Hudson-Smith make their European Championships debuts.